After a teammate fell asleep at the wheel, Peru State’s running back suffered serious head injuries and later died. The wreck occurred on U.S. 75 just outside Peru, a small college town that’s about sixty miles south of Omaha. According to the Otoe County Sheriff’s Office, a 22-year-old man fell asleep at the wheel in the early morning hours. The vehicle then drifted into oncoming traffic and collided with another vehicle. The man and the other driver survived, but a 23-year-old man of River Ridge sustained massive head injuries and died a few hours later at a nearby hospital. Many individuals who would never think of driving after three or four drinks. Yet have no qualms whatsoever about driving after eighteen hours without sleep. However, the effect on the brain is very much the same. Both three or four drinks and eighteen consecutive awake hours cause effects tantamount to a .08 BAC. Additionally, most drivers are naturally sleepy at certain times of the day and night, regardless of how much rest they got the night before. These risks are even greater if the tortfeasor (negligent driver) keeps irregular hours, such as shift work or late nights. As a result, fatigued driving is responsible for a significant percentage of car crashes in Tampa. Over two-thirds of drivers admit that they have felt dangerously fatigued while driving, and a substantial proportion admit that they have literally fallen asleep at the wheel. 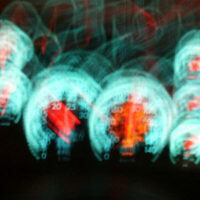 Making matters worse, most people continue driving when they feel very sleepy. They often roll down the window or drink coffee to keep themselves awake. But these little tricks do more harm than good. They give drivers a false sense of security and they do not address the underlying issues. Sleep is the one and only cure for drowsiness. If the victim sustains a serious injury, damages in drowsy driving and other Florida car crashes include compensation for both economic losses, such as medical bills, and noneconomic losses, such as loss of enjoyment in life. Additional punitive damages may be available as well, in some cases. Getting into a car is not always 100 percent voluntary. If the victim must get to a certain place in Tampa by a certain time and has no other way to get there, travel is not completely voluntary. Furthermore, not all risks are known risks. Unless the victim actually sees the driver operating the vehicle erratically or observes other such evidence of danger, the risk of injury is only theoretical. Drowsy drivers are often bad drivers who cause serious car crashes. For a free consultation with an experienced personal injury attorney in Tampa, contact The Matassini Law Firm, P.A. After-hours visits are available.